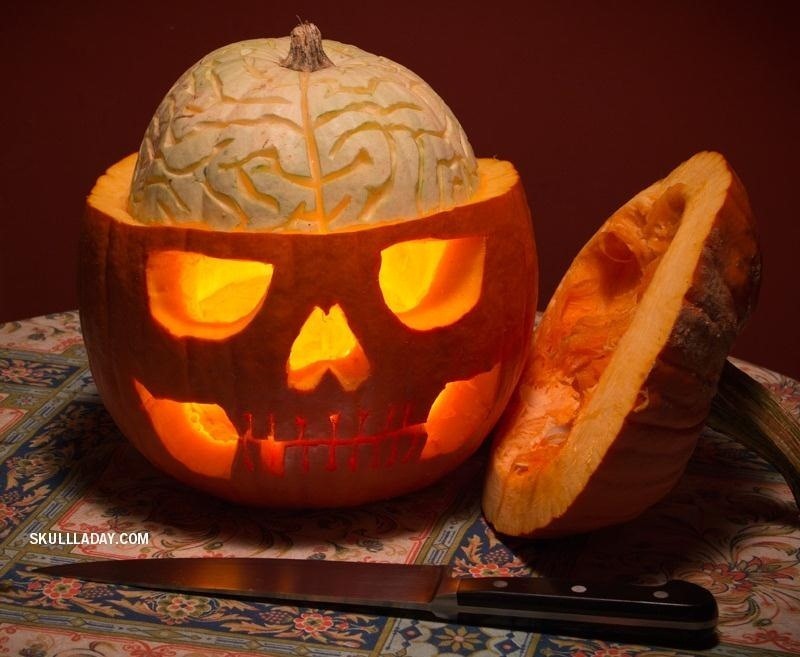 But did you know that if you carve a pumpkin just right, you can reveal its hidden brain? Just kidding, pumpkins don't actually have brains, otherwise they probably would've staged a revolution by now for all these years we've been cutting them up. But with this clever little trick by Noah Scalin over on Skull-A-Day, you can practice your pretend brain surgery skills and end up with a pretty sweet looking decoration for your doorstep. You'll need two pumpkins—a large orange one and a smaller white one. After cutting the top off the larger one, draw your designs. Don't worry about the bottom half of the white pumpkin, you'll only be able to see the top part. 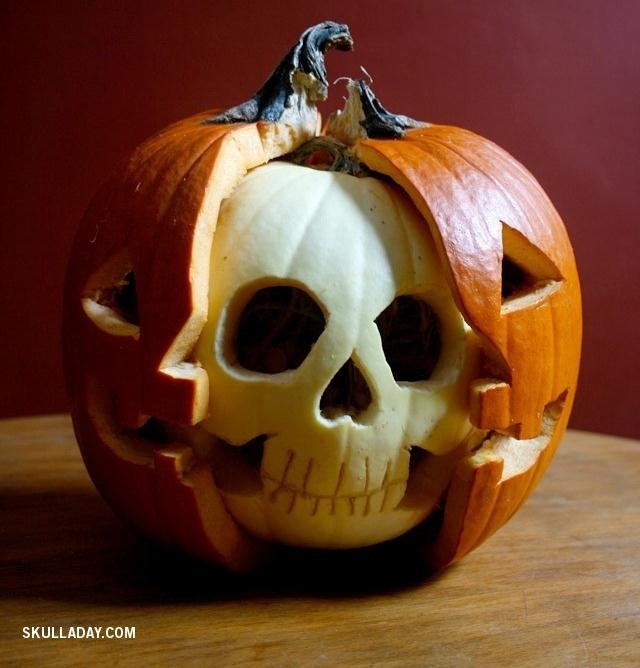 Carve out the face of the orange pumpkin, then use the knife to cut grooves into the white one over your brain design. 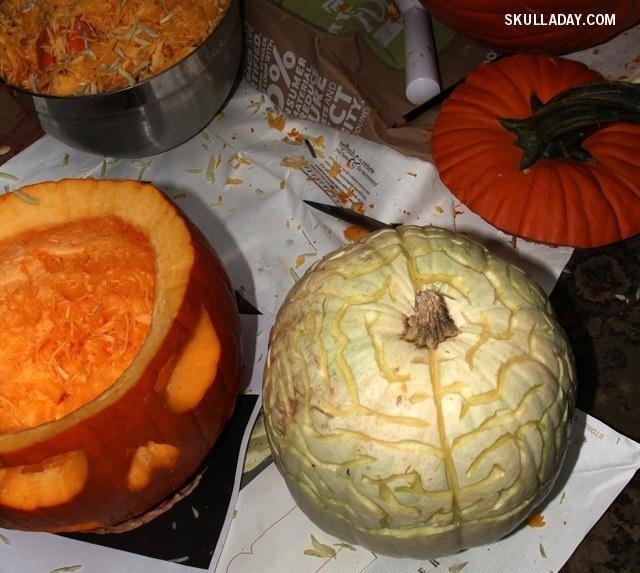 Once you're finished, remove the bottom part of the white pumpkin so that it fits inside the orange one. Be sure to cut out a space for the candlelight to shine through, like in Noah's photo below. Now, all that's left to do is put it together. Check out Noah's tutorial over on Skull-A-Day for more details. Here's another example of his unique pumpkin carving skills from a few years ago. 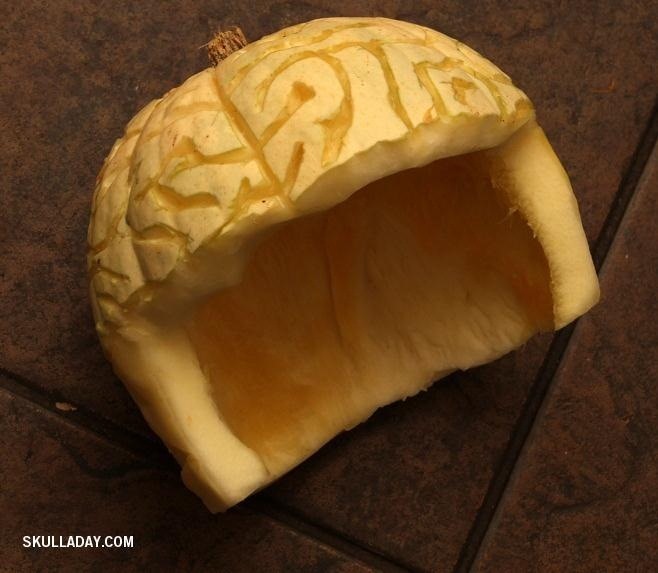 If you're throwing a party, you can kill two birds with one stone using this watermelon brain that doubles as a snack. Make sure to share your creations with us over in the Inspiration section!